Bossier Parish emergency personnel participate in a training drill with actors serving as victims. Bossier Sheriff Julian Whittington is offering a special training class to help residents be better prepared in emergency situations that may occur in public gatherings. The class is called “Surviving the Terror” and will be taught by instructors of the Bossier Parish Sheriff’s Training Academy from 6 to 8 p.,m. Tuesday at the Viking Drive Substation, 2510 Viking Dr. in Bossier City. The class is free and open to the public. 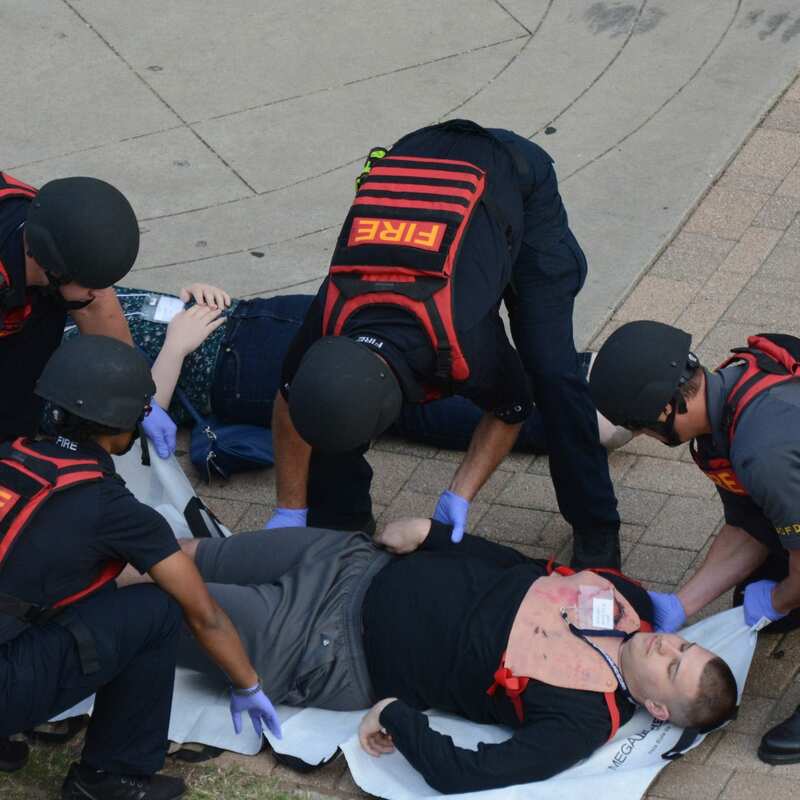 The class is for the general public to offer ideas so that you, your family and your friends will know how to react in an emergency or terrorizing situation that might occur at a sporting event, church, a festival, or any public setting or event where people gather. The class will focus on situational awareness, developing exit/evacuation plans, establishing rally points and communicating with your loved ones and friends in an emergency situation, as well considerations about using your concealed handgun. The class will teach you how to be prepared to quickly react to keep you safe, even before first responders are able to arrive. There is no need to register for the class, but you can always contact the Bossier Parish Sheriff’s Training Academy at (318) 965-3525 for more information.